Being Dr. Ellis’s financial manager/ front desk head receptionist is such a pleasure! I love greeting each patient as they walk through our doors as well as sending them out with a positive report. Prior to managing finances for Dr. Ellis, I was an assistant in the office from 2008-2011. I am always eager to answer questions regarding any aspect of the office, weather it be about treatment, insurance, or anything else that may arise. When I’m not at the office my time is spent with my family. My husband Paul and I have been married for 6 years and our daughter Mackenzie is now 4 and growing fast. When the weather is nice, we enjoy spending our weekends outside. We like to incorporate our families in all that we do. Hello! 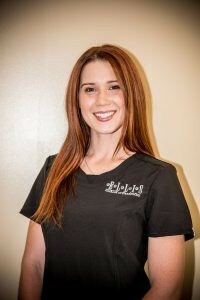 I love being an Orthodontic Assistant here at Ellis Orthodontics. I take pride in my work and caring for our patients. I assist doctor with Bondings, Debondings, and Adjustments. I am also the person you’ll be talking to when you come in for your free consultation. I have been with Dr. Ellis since 2014, but have been in the Dental Field since 2011. At home My Fiancé Christopher and I have a 7 year old daughter named Natalie. We enjoy doing outdoor activities and our family game/movie nights. I am your average “Soccer Mom” and I love it. I spend my time taking Natalie to her sporting events and other activities as well as volunteering at her school as much as I can. My Motto is a SMILE goes a long way! 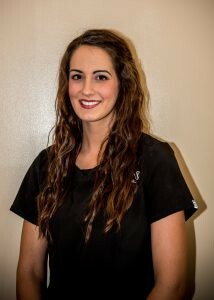 As Dr. Ellis’s Orthodontic Assistant, I always strive to give my patients quality treatment. I love chatting with my patients and making them feel as welcome as I can. I enjoy answering any questions they may have about their braces, an appliance, brushing techniques, or anything else! My favorite procedure is taking braces off because I love everyones genuine smile! 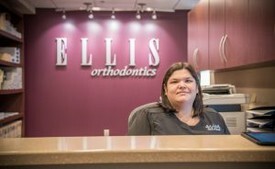 When I’m not in the treatment area, I stay busy with Ellis Orthodontic’s social media pages that are constantly gaining more and more activity. At home I have one child. My son Eric is 4. We love going to the park, arcades, and doing crafts. In the summer we enjoy being pool-side, camping, or at the beach. But in the winter we like sledding and watching movies.